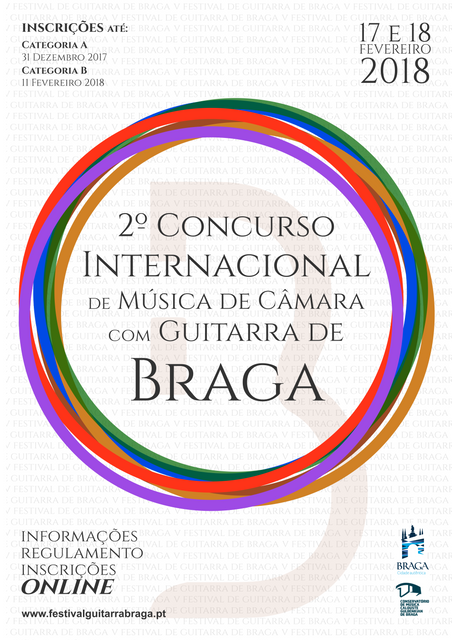 Due to the importance of chamber music practice in the education of young guitarists and in a process of continuity with the project started in the last edition of the Braga Guitar Festival, we will hold this year the 2nd International Chamber Music Competition with Guitar , a project that will be integrated into the set of activities of the 5th edition of this festival. Thus, we hereby invite you to participate in this event and we would be grateful if you could share about this competition with colleagues guitarists as well as other contacts you might consider relevant. All specific information regarding this event (regulation, registration form, jury members, etc.) is available on the web address of the competition.